Ideally, the main question underlying the comparison between marijuana and Kratom is one of; which is better regarding effects and benefits. A valid question as far as the two are concerned. It’s only logical to compare the pitfalls of each before commitment in some cases, weighing the benefits and downsides helps in determining the value of the foregone. For instance, they both have some disadvantages but when they are held up against each other which downsides are relatively consequential. From the users and enforcers perspective, the two are elusive regarding legality, consumption, and more importantly the effects. 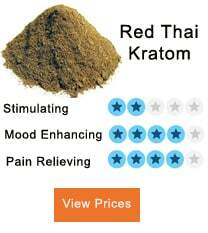 To some extent, Kratom seems to be in high correspondence with weed. So much so that experts are speculating Kratom might be the next marijuana. Kratom has been around for a while. It has garnered an impressive following since its debut in the late 19th century owing to some of its effects. Its usage dates back to the 18th century where people in East Asian countries used it to ease pain and fatigue, increasing cognitive abilities, and boosting moods. Generally, the use of Kratom is controversial, but to a larger extent, it’s considered positive. Marijuana use is also considered positive. 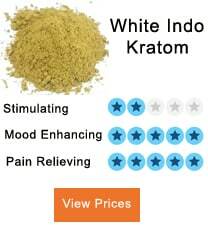 The effects are clear-cut different from those of Kratom. Generally, it is known to cause a lack of clarity, blurred and slow response to stimuli and a calmness. Unlike Kratom which sharpens your senses, marijuana does the exact opposite. It does relieve pain, which makes it one of the candidates for reducing pain in conditions such as arthritis, sclerosis, and chronic migraine. Although the dosage and the type of strain matters, crossover in the usage of these two are not unheard of. Kratom is overwhelmingly taken orally as a liquid while marijuana is smoked. Kratom is less invasive, but regarding the user experience during indulgence, marijuana is the better of the two. Kratom effects are characteristic of a potent chemical called mitragynine and 7-hydro mitragynine. These alkaloids common n antidepressants are known to lessen the function if the pain receptors, subsequently lowering the pain signal relay to the brain. At moderate to standard dosage, the effect can last up to an hour. Cannabis contains a significant number of alkaloids as well depending on the strain. The significant alkaloid out of the many is THC. THC is known to lessen the body’s response to external stimuli through not numbing the pain receptors but by disassociating the body and the mind — a characteristic exclusive to marijuana. These effects kick in one hour after ingestion as opposed to Cannabis where the results take five minutes to fully manifest. 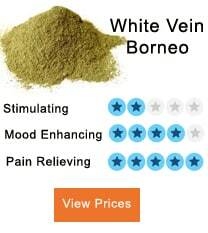 This goes to show that Kratom cannot be used an instant pain reliever. The positive effects of Kratom and weed stand out as some of the most controversial ones. To that effect, for some, it might seem imperceptible to combine the two, but so far it has not shown any health complications. A combination of the two can be quite psychedelic. Accounts given by informants who tried out the mix narrates how the Kratom enhances the physical buzz exuded when you use cannabis. The informant further narrates how he experienced a dramatic increase in body and mind disassociation. This coupled with a nexus of perceptions is pretty much what a combination of the two drugs does. The Kratom and weed experience is certainly one filled with unknown variables, but in the right proportions, it takes psychological mind elevation to a whole new level. In the right promotion Kratom combined with Cannabis has some medical benefits. These medical benefits include relief from opiate withdrawal symptoms and relief from chronic pain. Since they both contain some of the most potent compounds linked with analgesic drugs, the combination is mostly used for the same — a march made in heaven. While the list of upsides is longer than that of downside, the two should be used diligently. The outlined dosage should be carefully measured since anything above the dosage can have adverse effects such as stomach problems and nausea. The standard procedure when combining the two is drinking the Kratom first before smoking weed one or two hours later. For better effects, cannabis should be taken in a small quantity. While the Kratom and weed experience is still at the experimental stage, it’s impossible to disregard the benefit the two have had over the centuries. Although Kratom is certified as a legal substance in some states, it is easily available worldwide. The quality of the Kratom you use depends on your vendor. Cannabis is legalized in most countries in the world and some American states. Kratom is a relatively a new player in the niche. Therefore, there are currently no verified commercial lab testing services. On the other hand, Cannabis’ THC compound is tested in most commercial labs. Surprisingly, Kratom is less ridiculed around the world and in most states, if you are looking for a legal way Kratom is the better option. Further filtered policies are used to enforce the use of both substances at places of work —after all, they are recreational drugs. All in all, the two are immensely beneficial, however for mild pain and reduce the chances of crashing with the law, Kratom is the better option. On the other hand, if you want both the combination of Kratom and weed then rest assured there are no health issues associated with the combination of these two. Verdict? Try using Kratom before committing to using cannabis routinely. How To Avoid Weight Gain With Kratom In 5 Easy Ways?